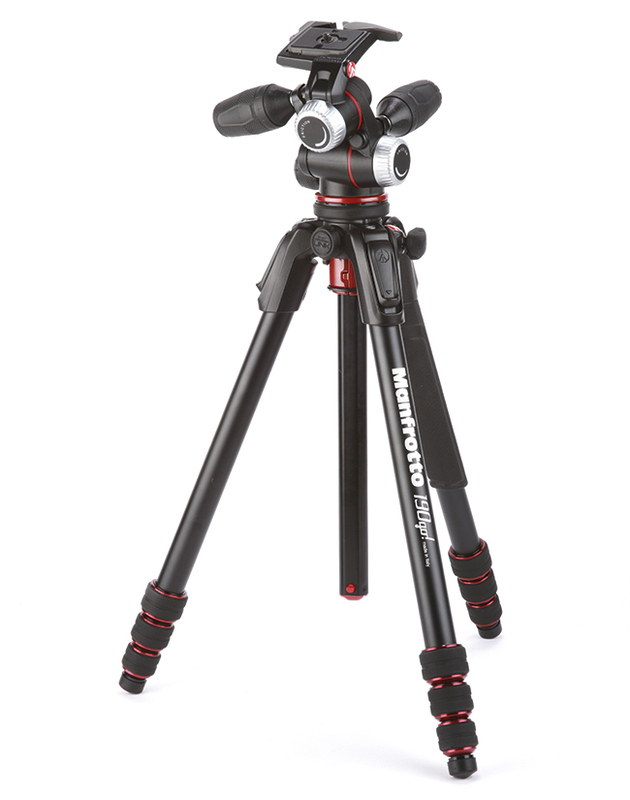 Manfrotto’s 190 tripods have a reputation for offering a decent working height without excess weight. The new 190 Go! 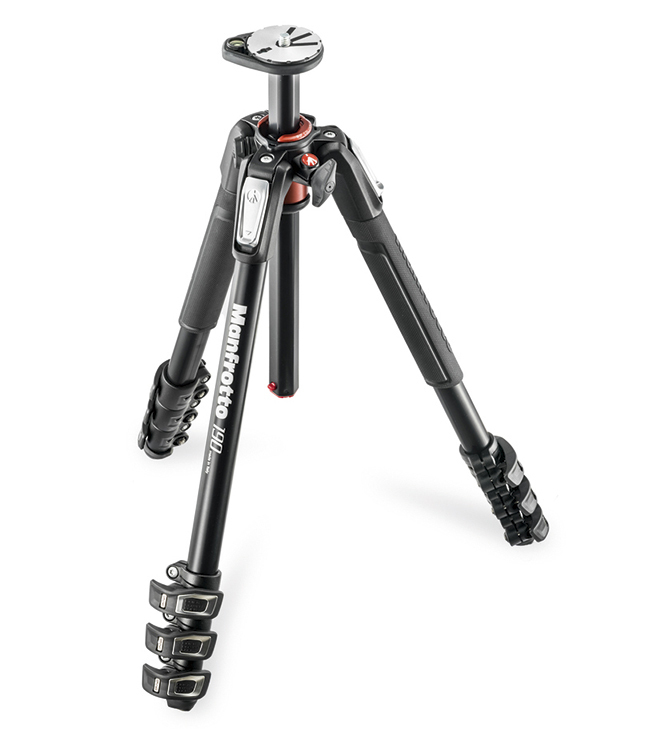 is a four-section aluminium model with a 90° tilting centre column, but in a first for Manfrotto it has twist-type leg locks rather than the lever type. This is the lightest and most compact tripod in the 190 range, but it’s also 13cm shorter than the existing four-section version. The legs can lock at four different angles, set using large, easy-to-press levers, and one has a rubberised grip for easy carrying. A 3⁄8in-thread Easy Link socket on the central ‘spider’ can be used to attach accessories to the tripod, such as magic arms for holding lights. But the standout feature is that the centre column can quickly be set to a horizontal position by pulling it up to its maximum extension, pressing a button at its lower end, then pulling it up a little further and folding it down 90°. It can then be freely rotated to any position you choose. When tightened, this grub screw prevents the head from unscrewing. This is for the attachment of Manfrotto’s carry strap. It can also be used to hang a camera bag for extra stability. This connector is compatible with many heads, but those with 1/4in threads will need an adapter. With typically solid Manfrotto build quality, the 190 Go! is a tripod that just works. All the movements click and snap into place with precision, and the twist-leg locks are particularly quick to use; if anything, I prefer them to Manfrotto’s traditional clips. In terms of load, the 190 Go! will happily hold an enthusiast DSLR with a large zoom lens such as a 70-200mm f/2.8, and with the centre column extended it will hold the camera at eye level for a 6ft-tall photographer. This distinguishes it from lightweight travel tripods, which generally won’t manage either. In summary, this is a tripod that’s sure to become a favourite with enthusiast photographers looking for flexible and reliable support. If you like the feature set of the 190 Go! but prefer clip-leg locks, this model should be just the ticket. However, it’s slightly larger and heavier. 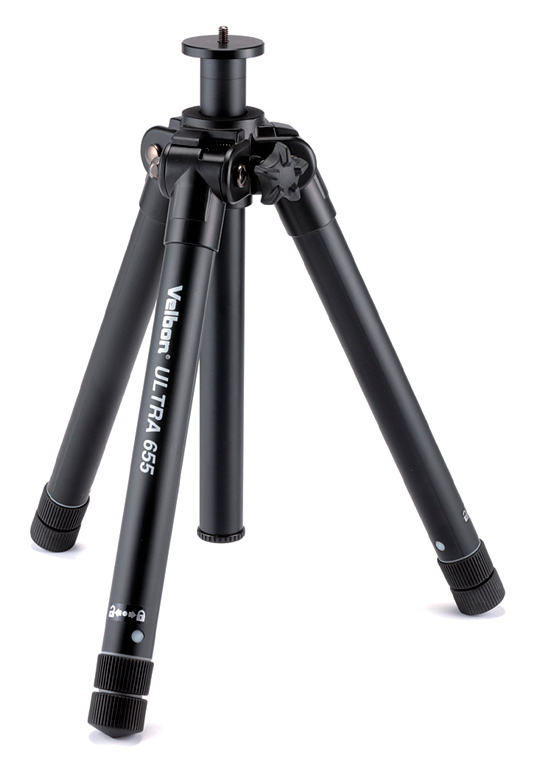 If you need the option of a horizontal column but don’t want to replace your current tripod, the V4 is an add-on option that will work with almost any tripod.